I’m always intrigued by what inspires an artist, so I asked John to put together a list of his 13 fave sci-fi comics covers. And he came up with a tremendous list. So, when I was asked to name my 13 favorite comic book covers, I immediately jumped at the chance because I thought this was a no-brainer for me! I’ve been a lifelong comic and sci-fi fan, so no problem. Only thing is, I found myself picking covers that contained my favorite stories as well (mostly, anyway) or covers to books that just so hooked me when I was a kid, that I just had to put them on my list. So, here are my Top 13. I hope you enjoy! 13. 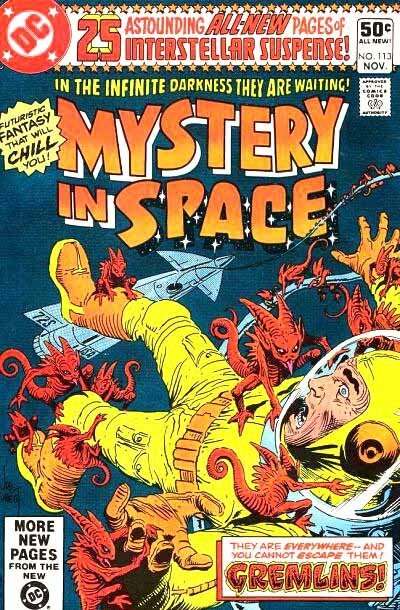 Mystery in Space #113, by Joe Kubert. I knew that I had to get a Joe Kubert cover in on this deal as no list of mine would ever be complete without one. Thing is, Joe didn’t do a whole lot of sci-fi. Of course, there was Adam Strange but I couldn’t really think of a cover that affected me. And then I remembered this one. It’s a simple one but two things really struck me when I first saw it. One was I loved how he twisted the figure upside down. So dynamic. And two, it made me wish he would do more sci-fi stuff! 12. 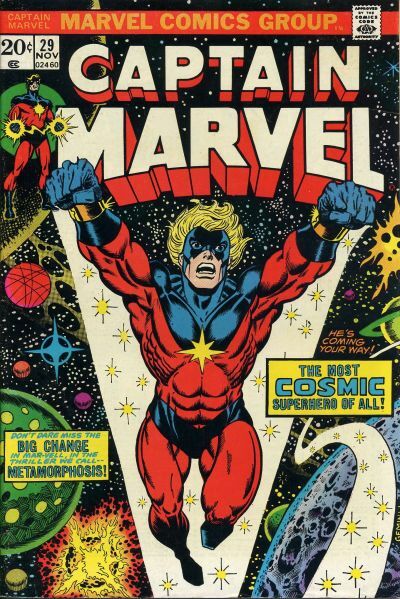 Captain Marvel #29, by Jim Starlin (with John Romita and Al Milgrom). Why this one? I realized, as I was working on this, that this very issue was basically the first real hard sci-fi comic that I encountered as a young lad. Blew my mind. I hadn’t seen a super hero like this and it didn’t occur to me until much later that, as far as sci-fi and cosmic stories went, I was totally hooked. 11. Invisible Republic #1, by Gabriel Hardman. 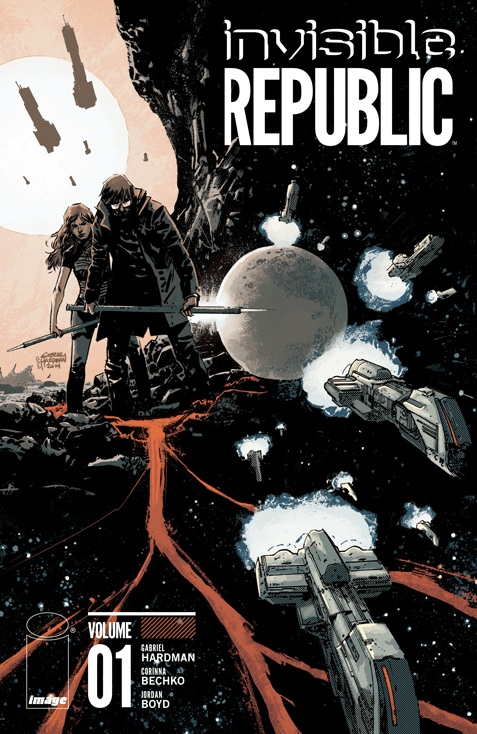 A little before I took the plunge and decided it was high time to write and draw Lifedeath, I saw this: Invisible Republic by Gabriel Hardman and Corinna Bechko. Blew me away. Loved the cover. Loved the book. One of the best reads I’d had in a long while. Totally inspired me to sit down and get started on my own sci fi project. 10. Incredible Science Fiction #33, by Wally Wood. 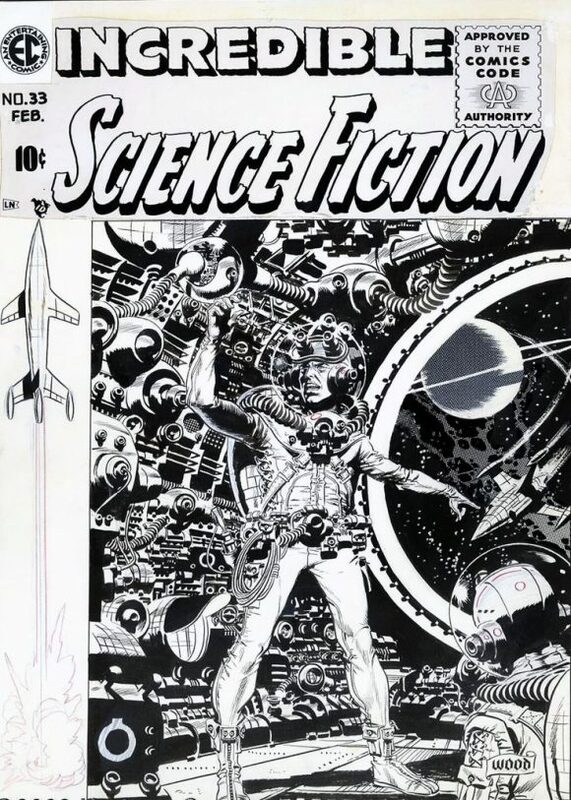 No list of great sci-fi comic art would be complete without a classic Wally Wood cover from the EC era. Wally wrote the book from start to finish on how to draw sci-fi. Maybe how to draw, period. Wood is one of those artists whose altar I worship at every day. I’m using the black-and-white version so you can really appreciate the mastery of this piece. 8. 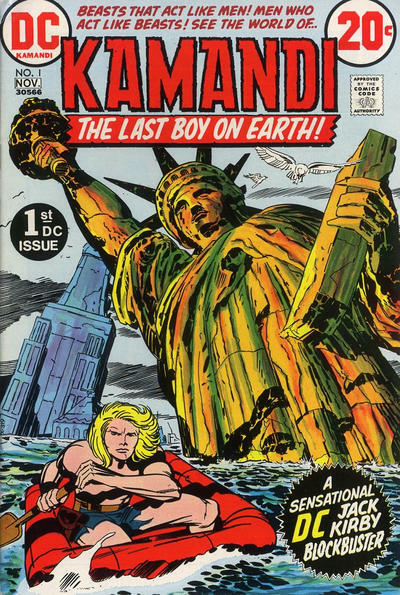 Kamandi #1, by Jack Kirby and Mike Royer. Do I even need to explain this one? Perfect cover. Perfect concept. PERFECT ART. Sold, start to finish. 7. Marvel Super Special #22, by Jim Steranko. Why this cover you may ask? 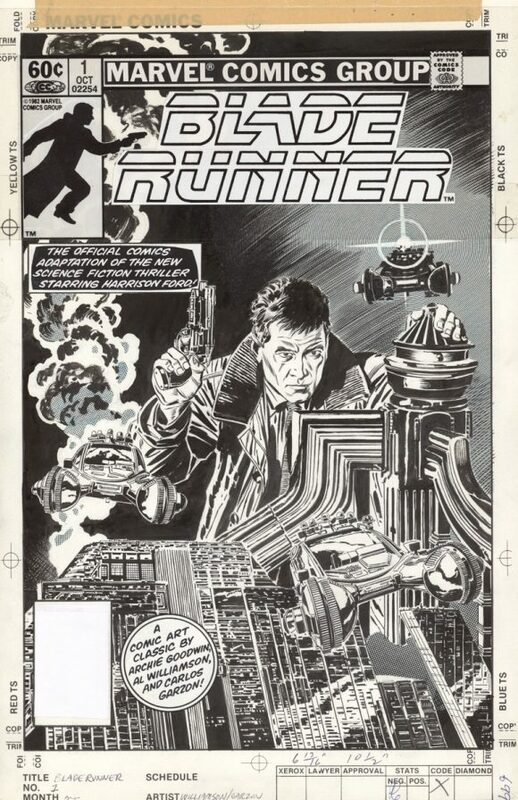 Did I mention that it was done by Jim Steranko? 6. 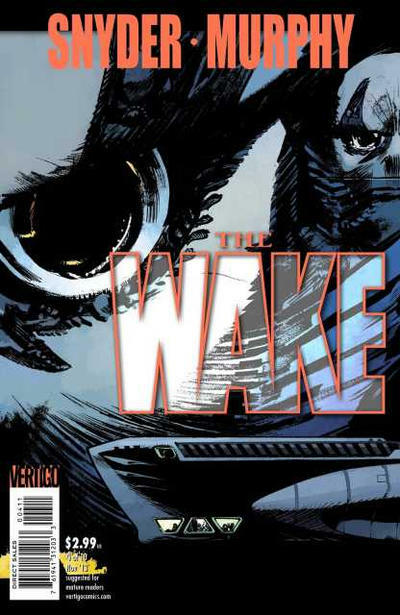 The Wake #4, by Sean Murphy. I know, I know, Scott Snyder’s The Wake straddles sci-fi and horror, but, man, check out that cover! So bold and frightening! Sean is amazing and a heck of a nice guy. Loved this! 5. 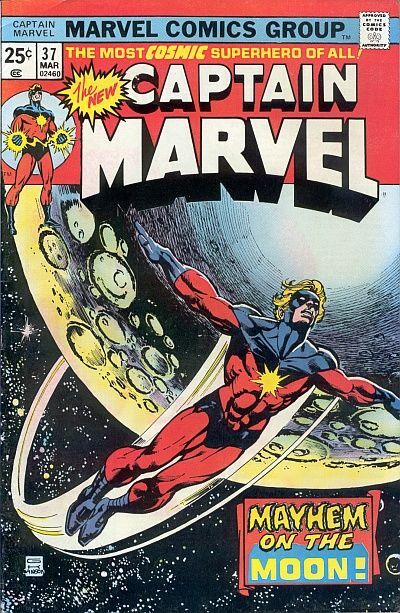 Captain Marvel #37 by Gil Kane and Klaus Janson. Yup, I kept right on with Captain Marvel. And yes, it’s OK to drool. 4. A Man Called Nova #25, by Keith Pollard and Rudy Nebres. 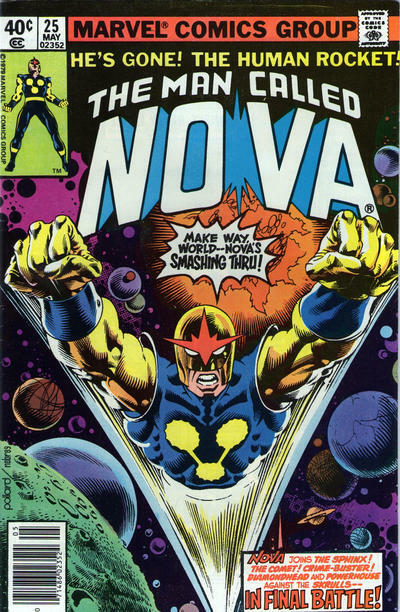 By far, Nova was one of my Top 3 favorite characters when I was young and absorbing comics into my bloodstream through an IV! 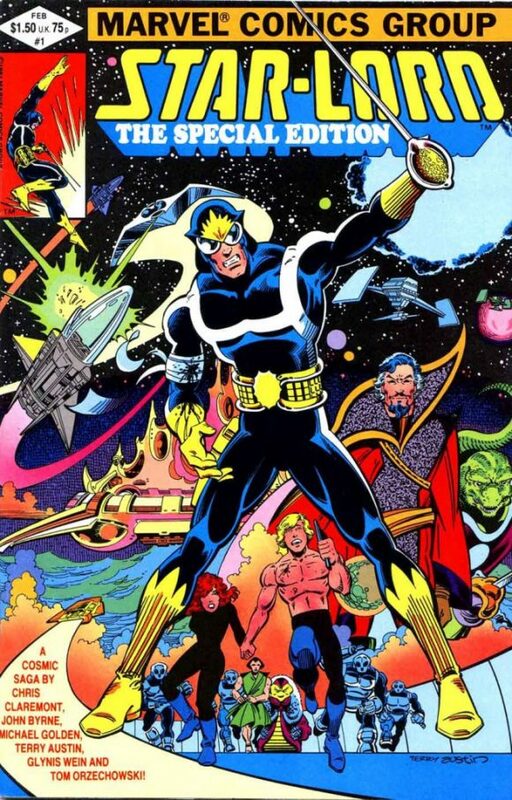 Nova was the perfect blend of sci-fi and super hero comics. This cover was so powerful with Nova coming right at you! Sadly, it was the last issue of that great first run. 3. Star-Lord: The Special Edition, by Terry Austin. This is one of those examples of “the cover made me buy it and the book changed my existence” kind of things. Claremont, Byrne and Austin at their height, doing a sci-fi epic. I couldn’t get enough off this and only wished they did more. Just sheer perfection. 2. X-Men #137 by John Byrne and Terry Austin. Why this one and why at #2? 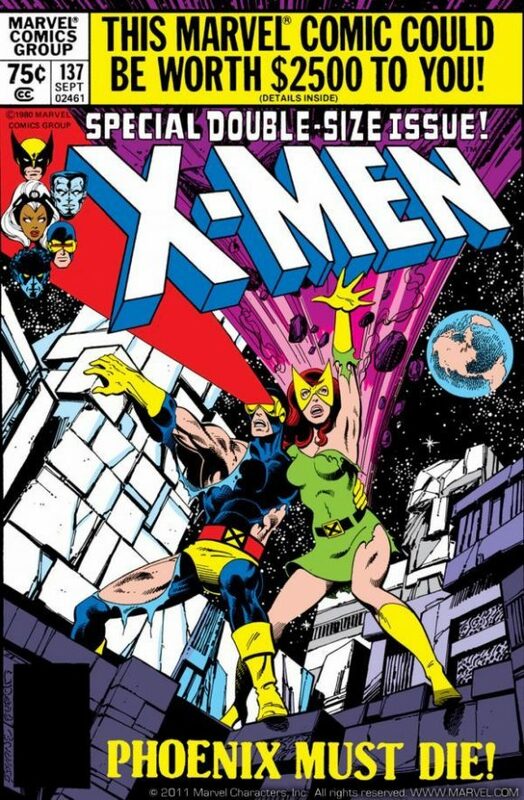 Well, after building to the conclusion of the Dark Phoenix storyline for over a year (more actually) here’s the cover of the book where it’s promised that we will finally learn Jean Grey’s fate and…it says “Phoenix must die!” …and Cyclops and Jean are in what appears to be a last stand….on THE MOON! What in the hell?! Epic mix of sci-fi and superhero. Lilandra and the Imperial Guard against the X-Men for the life of Jean Grey on the dark side of the moon. Doesn’t get better than that. Never thought I could be emotionally devastated by a comic book. Then I read this. 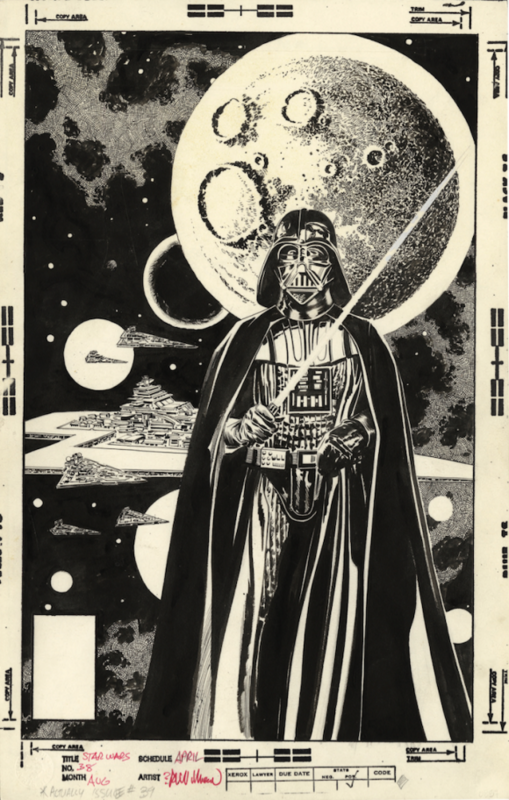 Annnnd my #1 all time sci-fi comic cover is Al Williamson’s The Empire Strikes Back movie adaptation (with Carlos Garzon). Needless to say I was a HUGE Star Wars fan (who wasn’t?) 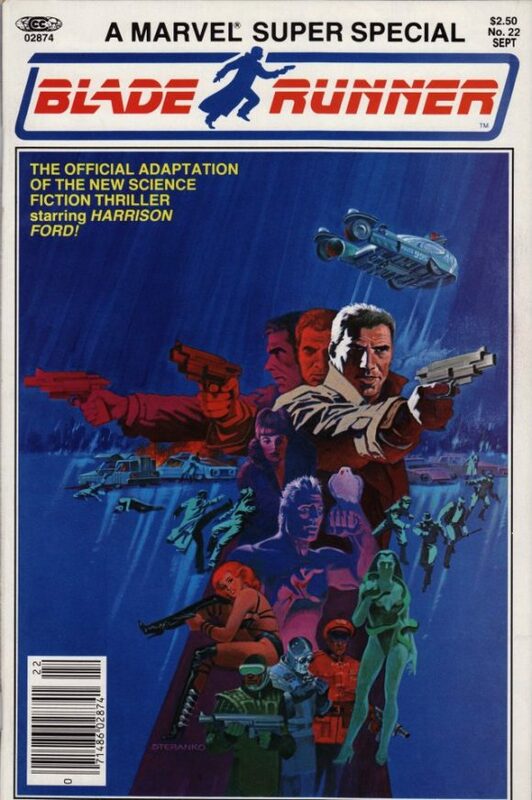 and I did love the original Star Wars comic by Archie Goodwin and Carmine Infantino but man, when this came out? WOW. It was like reading a movie. I remember the exact moment I saw this cover. So incredible. For those of you too young to have ever seen this one, this was all drawn by hand. No photoshop or anything like that. Al was the master of doing photo-realism. Absolute perfection. I have the IDW Artist’s Edition by my drawing table AT ALL TIMES! Again, I’m using the black-and-white shot from the original so you can see the incredible detail in Al’s work. Well, I hope you all enjoyed this list about half as much I enjoyed doing it. It brought a lot of great inspirational memories back and makes me realize that I still have such a long way to go in my own work. But, then again, don’t we all? Thanks so much for reading! 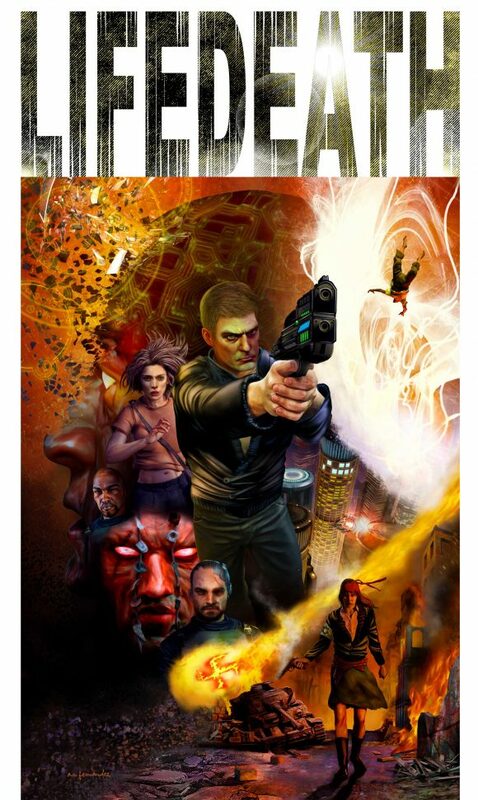 Check out John Stanisci’s Lifedeath on Kickstarter, here. Captain Marvel number 5. Gil Kane and Klaus Janson. A thing of beauty! The X-Men 137 cover is marred by that stupid $2500 contest banner. It’s always annoyed me because the art is so fantastic and deserves better.